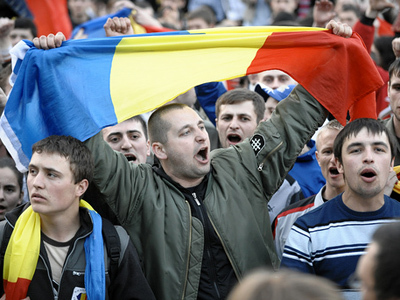 Activists in Romania are campaigning for unification with neighboring Moldova by next year. They say they are restoring justice, because the two countries were historically united. But their drive is not shared by all in Moldova itself. The idea of unification is supported by all sorts of actions, from photo exhibitions to loud rallies in both Bucharest and Chisinau. Since 2009, some movements in Romania have been campaigning to win back what they see as their land. Since April it has been impossible to miss colorful stickers in cities across Romania saying “Bessarabia is Romania”. Those behind them believe that the land which is now the sovereign state of the Republic of Moldova must again be under Bucharest’s control. And indeed it was, until the 19th Century which saw it pass hands several times. With the collapse of the USSR it declared independence, becoming a member of the UN, the Council of Europe and the WTO. Now the group Action-2012, an alliance of more than 30 NGOs in Romania, says these achievements would be sacrificed in the name of reunification. “By reunification I mean Romanian people on both sides of the border to live in one state. 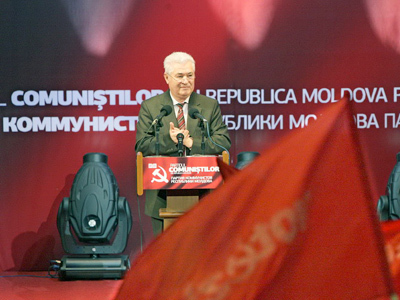 After the Molotov-Ribbentrop pact we were unjustly separated and we want to repair this historic truth,” says reunification activist George Simion. Bucharest’s official line is that reunification of the two nations can only happen if the post-Soviet state becomes an EU member. But politicians in Moldova have expressed concerns that President Basescu will not wait for that eventuality and will instead, at some point in the future, expand his country’s borders to absorb Moldova. “A couple of months ago, the Romanian president clearly said that within 25 years Moldova will reunite with Romania under the aegis of European integration. Romania, by its actions, is discrediting the whole concept of European integration, because for most people in Moldova, European integration is not about integration with Romania,” believes Yury Muntian, a member of the Communist party of Moldova. 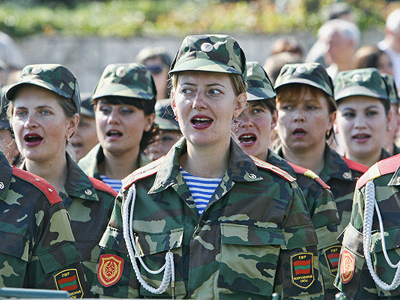 Analysts in the Moldovan capital say the last few years have served as clear proof of this intention. 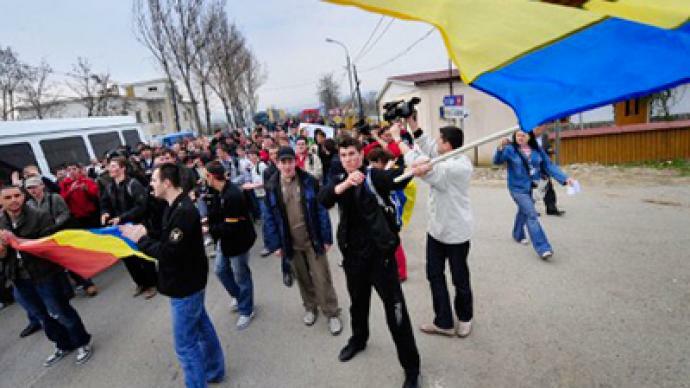 “After the change of power in 2009, loads of Romanian media outlets appeared in Moldova. Those include several major TV stations and two dozen newspapers. We believe their main mission is romanization of Moldova and deconstruction of the Moldovan identity,” Moldovan political analyst Bogdan Tsyrda told RT. Next year, which marks 200 years since Bucharest lost Chisinau for the first time, the Action-2012 movement is planning a massive information offensive on Moldova’s population. The movement says it is not funded nor officially supported by Bucharest, and that their mission is peaceful. It is to inform the people of the need to restore the Greater Romania. “If the majority of people in Romania and Moldova decide that they want to reunite, then it is technically possible,” George Simion explained. If that is the case, then it is hard to imagine any reunification in the near future. Up to 40 per cent of Romanians agree they would love to have Bessarabia back, but almost two-thirds of Moldova’s population wants to remain sovereign.